Our Mission: SYAA is a totally volunteer-run youth sports program for children who reside in or attend school in the towns of Southampton and Westhampton or attend Hampshire Regional. SYAA strives to create sports programs that foster individual development, team spirit, mutual respect and community responsibility. Thanks to all of our generous SYAA Sponsors. to become a SYAA Sponsor. 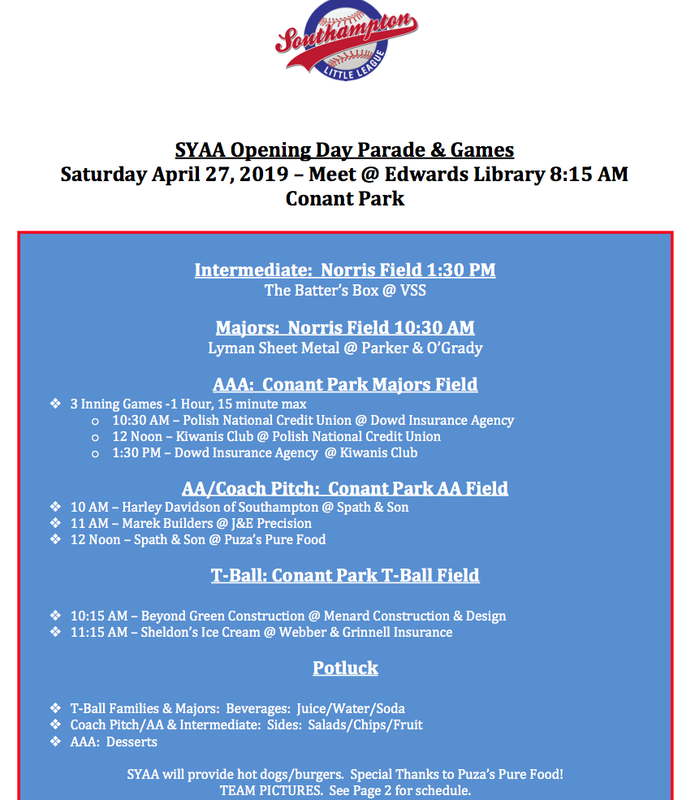 Please see the link to the SYAA Baseball website and bookmark it for news – scores – updates - etc. Please note that SYAA is a total volunteer run organization. We need help from parents to coach, to assist, to monitor the school, prep the courts, for general help, etc. Please consider donating your time.Are you interested in joining S.Y.A.A. and being part of the growth and development of youth sports in Southampton? S.Y.A.A. is always looking for new board members. This is a great opportunity to get involved! Email or call any of the board members to learn more about these positions or join us at the next meeting.